The following is a USA patent that shows how TV and computer monitors can be used to manipulate the human nervous system/brain. 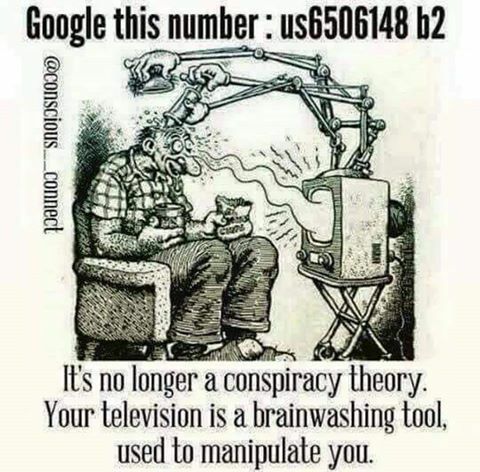 A form of mind control via our TV's displayed out in the public for everyone to see. Patent#US 6506148 B2 titled "Nervous system manipulation by electromagnetic fields from monitors " I have uploaded the patent to my Scribd account which you can see below for your reference. If one digs deeper into who the inventor is and what the inventor has patented in his name over the last couple of decades you will come across some highly questionable technologies. Here is a list of some of Hendricus G. Loos, the inventor, who's work is out in the public domain. Apparently Mr. Loos has worked for the Department of Defense and DARPA as seen in this research paper. Or you can see for yourself directly at this link here http://oai.dtic.mil. Makes one think how far advanced these TV/Monitor technologies have become over the years. The technology shown in the patents are in the public domain and date back a couple of decades. Can you imagine how far along the TOP SECRET mind control technologies developed by the military industrial complex have become? Can you imagine the damage done if these technologies fall into the wrong hands? Do I really need to remind you of the names of suspected mind control assassins? The good news is that there is a technology that was patented by Theodore A. Litovitz, Patent US5450859 A titled "Protection of living systems from adverse effects of electric, magnetic and electromagnetic fields". Further research needs to be done to see if Mr. Litovitz's protection technologies are available to in the public domain. Below is the patent that has been uploaded to my Scribd account for your reference. Thank you to Rebecca for sharing these patents with Ascension With Earth Blog.